Katherina Nuchow, the father of Katherina Nuchow, presented her for baptism on 7 February 1787 at Bleienbach, Launek, Bern, Switzerland; Old documents sometimes refer to the country as the "Republic of Bern. "1 She married Jacob Gygax on 4 March 1809 at Bleienbach, Launek, Republic Of Bern. Katherina Nuchow Handwriting is hard to read. This name is only an approximation. Emma O'Connor was born on 25 February 1874.1 She married Herbert Watson Masters, son of Leonard Oliver Masters and Margaret Jane Gilbert, on 1 January 1900. Emma O'Connor was also known as Sour @C517@ O'Connor. Her married name was Masters. William O'Leary married Honora Gill, daughter of James Gill and Catherine Carroll, on 15 May 1852 at Painesville, Lake, Ohio, USA. William O'Leary was born on 29 August 1852 at Painesville, Lake, Ohio, USA. He died on 8 March 1911 at age 58. Joseph Paith was born in 1846 at Monroe, Ohio, USA.1 He married Hannah Jane Denbow, daughter of Bazzel Denbow and Ruth Tanner, in 1870 at Monroe, Ohio, USA. 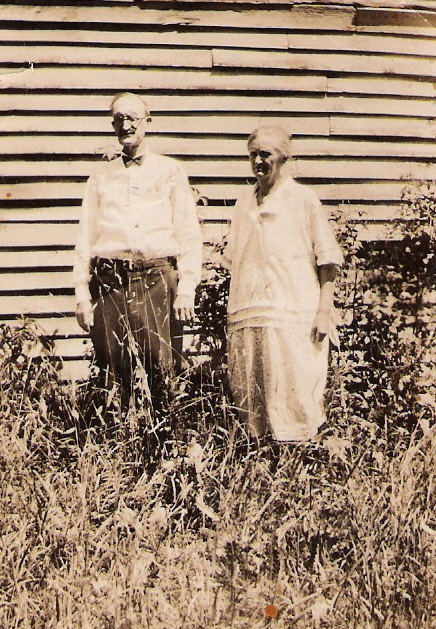 Sarah Paith married Basil E. Denbow, son of Levi Denbow and Rachel Morris, in 1886 at Monroe, Ohio, USA. Her married name was Denbow. I'm not at all that this is the correct name. Susannah Paith was born in 1867. She married John William Denbow, son of Martin Denbow and Mary Ann Scott, in 1888 at Monroe, Ohio, USA. Her married name was Denbow. Susannah Paith died in 1947 at Monroe, Ohio, USA. Anthony Palmer was born on 10 July 1876. He married Anna Eliza Rofkar, daughter of Henry Carl Rofkar and Anna Rebecca Marselius, on 17 December 1895. Anthony Palmer died in October 1951 at age 75. Lois Palmer was born on 29 June 1902. Her married name was Madison. Ralph Palmer was born on 12 July 1904. Charles Irwin Parsons was born on 3 October 1896 at Pennsylvania, USA. He married Myrtle Dewilde Reid, daughter of Alexander Paige Reid and Elizabeth Kennedy Hunter, on 20 April 1921. Charles Irwin Parsons Occupation: According to Vivian Doney Reid, Charlie was at one timethe manager of Brown's Boot Shop in Shamokin, Pa. According to BudParsons (10/94) Charlie worked for the Colonial Biscuit Company. Hemoved with this company from Shamokin to Punxsutawney to Uniontown,Pa. He was then moved to a territory in Morgantown, West Virginia.After the move there he quit and opened his own grocery store.According to Bud Parsons (10/94), on the way back to Morgantown, WestVirginia after attending his father's funeral, Charlie was asleep inthe back seat of the car. Bud, his son, was driving. Bud said theywere just outside of Mt. Pleasant, Pa. when he heard his Dad cough andthen he slumped over. Bud stopped the car and his Dad was dead. He died on 30 April 1957 at Pennsylvania, USA, at age 60. He was buried at West Virginia, USA. Gertrude Partridge was born on 15 April 1907 at Listowel, Ontario, Canada. She married Willard Clemence Denbow, son of Edward Clifford Denbow and Edna Esther Gigax, in 1927 at Ohio, USA. Her married name was Denbow. Gertrude Partridge died on 23 April 1994 at Akron, Summit, Ohio, USA, at age 87; Obit from local paper: Gertrude Isabelle Denbow, age 86, died April23, 1994. She was born in Listowl, Ontario, and has lived in the Akronarea since 1971. Mrs. Denbow was a member of the First UnitedMethodist Church of Cuyahoga Falls. She was preceded in death by herhusband, Willard. Survived by sisters, Muriel Dobson of Dunnville,Ontario, Hazel Dobson of Wadsworth, and Beatric Ziebaith of Hastings,Neb. Funeral services will be held at the Billow Falls Chapel, cornerof Falls Avenue and 23rd Street, Wednesday, 11 a.m. with Dr. ForrestJ. Waller officiating. Internment in Sunset Memorial Park, NorthOlmstead. Friends may call at the Funeral Home Tuesday, 7 to 9 p.m.
She was buried on 27 April 1994 at North Olmsted, Cuyahoga, Ohio, USA. Thelma Jo Pattison was born on 14 February 1910 at Navarro, Texas, USA. She é. She died on 2 September 1976 at Corsicana, Navarro, Texas, USA, at age 66. She was buried at Corsicana, Navarro, Texas, USA. William Patton was born in 1865. He married Anna Fisher, daughter of Joseph Fisher and Elizabeth Denbow, in 1885 at Monroe, Ohio, USA. William Patton died in 1926 at Monroe, Ohio, USA. Caroline Paulus was also known as Caroline Arbogast. Bert Penman was born on 11 January 1877 at Jefferson, Pennsylvania, USA. She married Robert Reid, son of David Reid and Ruth Simpson, on 17 August 1897 at Jefferson, Pennsylvania, USA. Bert Penman Occupation: Housewife Religious Affiliaton: Reformed Church Places ofResidence: Reynoldsville and Punxsutawney, Pa. Obituary: MRS. ROBERTREID DIED HERE FRIDAY--HIGHLY ESTEEMED RESIDENT SUCCUMBS AFTER LONGILLNESS AT THE AGE OF 66 YEARS. Mrs. Robert Reid, a lifelong andhighly esteemed resident of Punxsutawney, died in the Adrian Hospitalat 9:30 o'clock Friday night after an extended illness of about twoyears, aged 66 years. The deceased, who was the daughter of JohnM. and Margaret Nesbitt Penman, was born in Reynoldsville, January 11,1877, and came to Punxsutawney at an early age to live herepractically her entire life. On August 5, 1898, she was united inmarriage to Robert Reid, a prominent railroader of this city. She wasa member of the Reformed Church, and was active in the service of thatcongregation when her health permitted. The best of neighbors, anideal wife and mother, she enjoyed the love and esteem of her everyacquaintance. During her long illness she had borne her afflictionpatiently. She leaves her husband and the following son and daughters:Mrs. Frank Kreagloh, of Collingswood, N. J; Mrs. Sam R. Reid, ofDuBois; Mrs. Vay Neal, Mrs. James McGonagle, Jr., and Mrs. JohnAshenfelter, of this city, and Corp. Robert Reid on duty inBakersfield, La. She also leaves these brothers and sister: Mrs. AgnesCrawford, of Sykesville; Gilbert Penman,of Homer City; William Penman,of Alliance, Ohio; John Penman, of Altoona; Charles Penman, of SouthAmerica, and David Penman, of Punxsutawney. Funeral services will beheld Tuesday afernoon at 4 o'clock in the home at 204 Marion Avenue.Rev. M. N. George will officiate and burial will be in Circle HillCemetery. Her married name was Reid. She died on 3 June 1943 at age 66. She was buried on 7 June 1943 at Punxsutawney, Jefferson, Pennsylvania, USA. David Mark Peppard died in 1946. He was born in 1946.